Hey guys, perhaps I'm overzealous about this and perhaps I do not do well with giving up, but I have made the base of my family in which I want to keep working at until it is a complete and versatile family. You may have saw my post from before, and since, I have made huge changes and feel I have a much more constant array of typefaces that work together as a family. (2) Dawson Sans Alt: A semi-serif alternative to Dawson Sans, again finding the balance between squared and rounded counters, inspired by Fontfabrics Intro family that feature a similar (upright italic — kind of) characteristic. 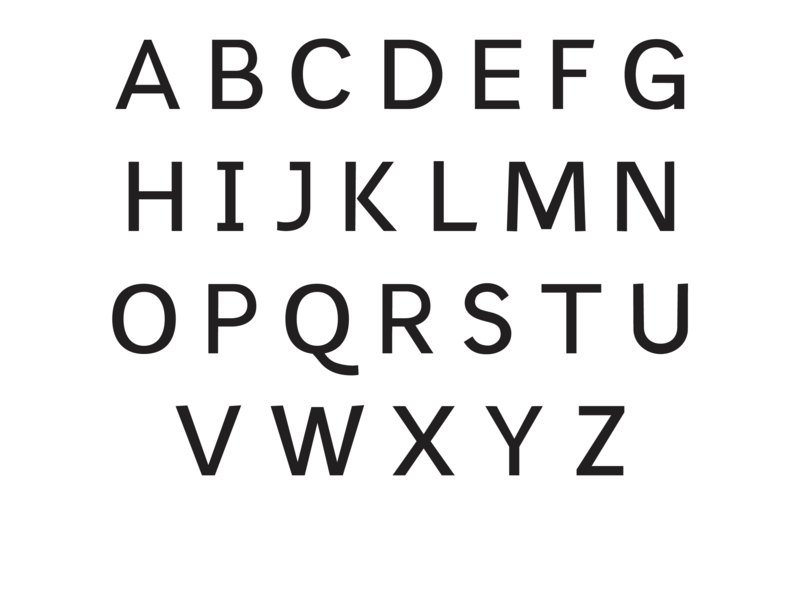 (3) Dawson: A slab (or presumably a wedged) serif typeface inspired by Tisa and modern slab serif typefaces. Just some feedback on seeking feedback: Always show type in context. I reckon you'll get more and better feedback if you help the reviewer see how the type is meant to work, not just give them a bunch of letterforms. Having to wade through to the last page of each PDF to see how the type actually looks just gives your reviewers an unnecessary hurdle to get over. Slow down and work on spacing (not kerning) before getting too much further. The fitting here is uneven and generally too tight. That'll need fixing before you can really get down to evaluating how these faces are working. Sorry that this may sound a bit discouraging, but this will hardly ever become a suite of quality typefaces picked by designers who know about good type. There are too many basic mistakes in your glyphs … Also, I can’t see any actual design idea behind your drafts, except that of copying other designs. Before you herald a big-bang project with brass and pomp, do learning first. Right now you seem to be just on the wrong trail. 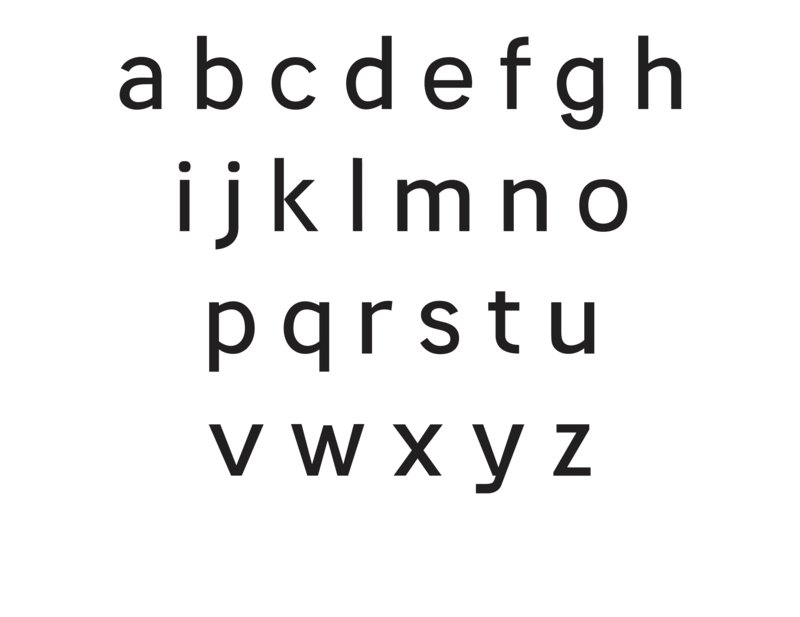 Of these, the slab serif feels the most usable to me; maybe focus on that as a starting point for your learning curve. The /b in the semi-serif fonts really doesn't work. To try to expand a little bit Andreas' words, because although he's dead right you might not have a sense of where to go with them: what basic mistakes? I don't know much, so I might be wrong, but I hope I can try to give you a bit of a direction to go in. And yes, I'm guilty of all of these basic mistakes, all the time, and I barely notice it. 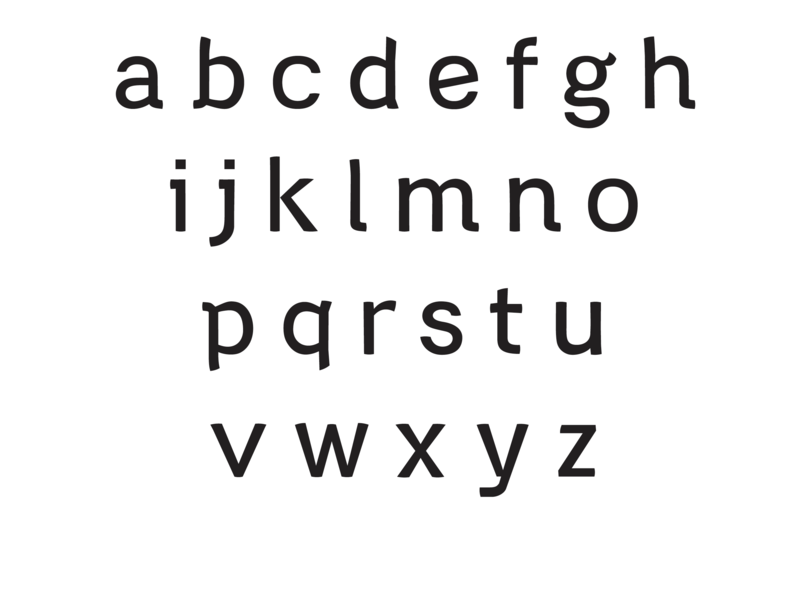 I am not a good person to give advice; I have one released font to my name and it's crap. But at the same time I can kind of see why it's hard to get clear advice in this situation. Here we go then. Design needs to informed by logic. That doesn't mean a slavish consistency, but if you deviate from consistency it needs to serve a purpose. So if you're doing something in one glyph and something different in another, ask yourself why. If you can't give a good answer, don't do it. 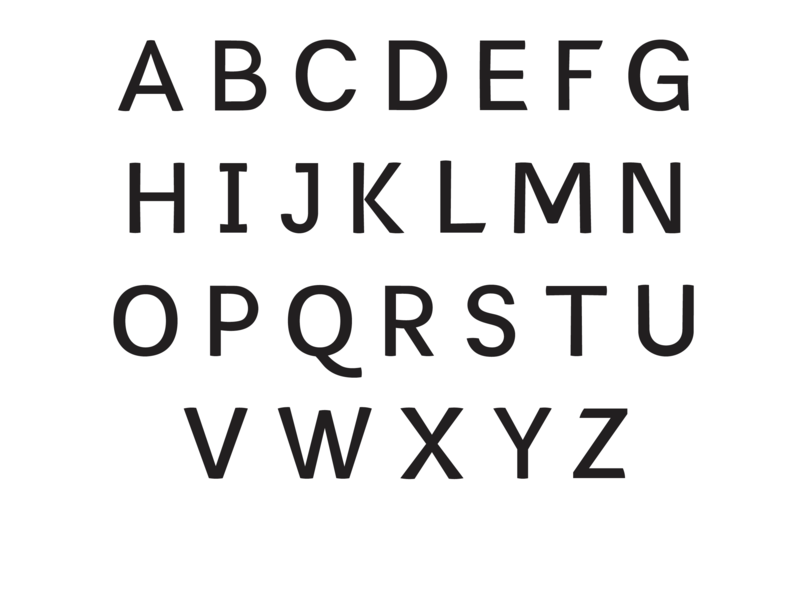 Practical example at micro level: serif design on letters /y/j/u/d in the slab font. 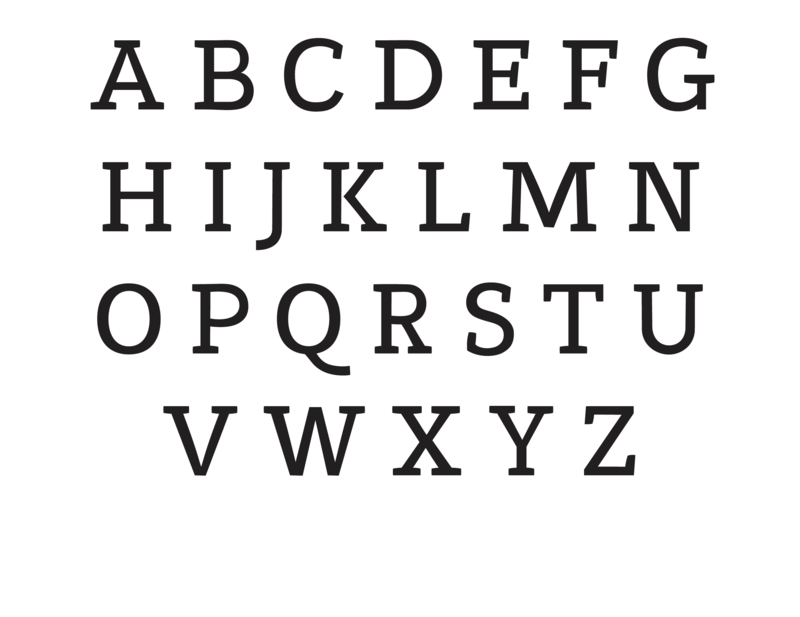 /y has a round bottom, /j has a flat bottom, /u has a sloping bottom. /y has a flat top, /j/u have sloping tops. 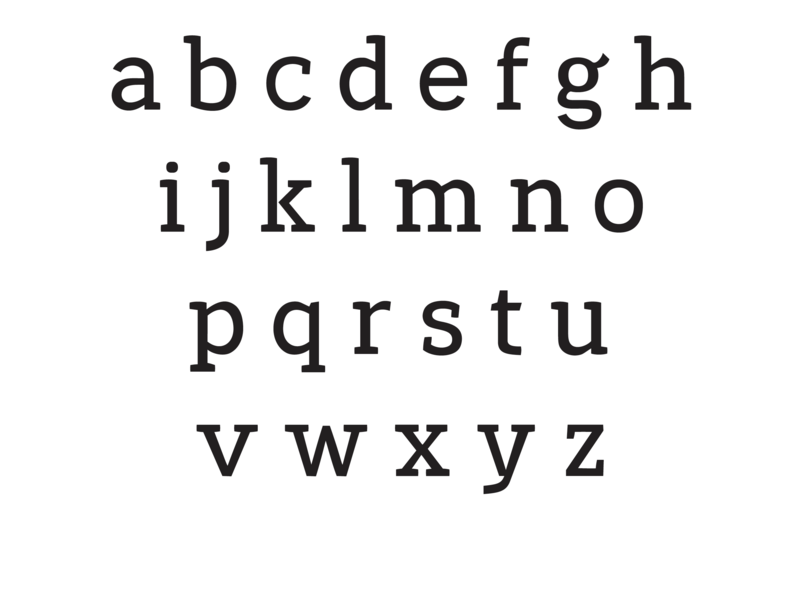 Bottom serif of /u has a round bottom, bottom serif of /d has a flat bottom. Why does the /t taper at the top when everything else is low/no contrast? This is potentially not wrong, if it's all done for good reasons of balance and spacing and what have you. But it leaves me thinking, "but why?" But almost talking about the micro level is a mistake at this stage. You also need to nail down your overall design philosophy. In the "slab", the roundness of the /e, particularly its tail, tells me this is going to be a nice crisp geometric grotesque. 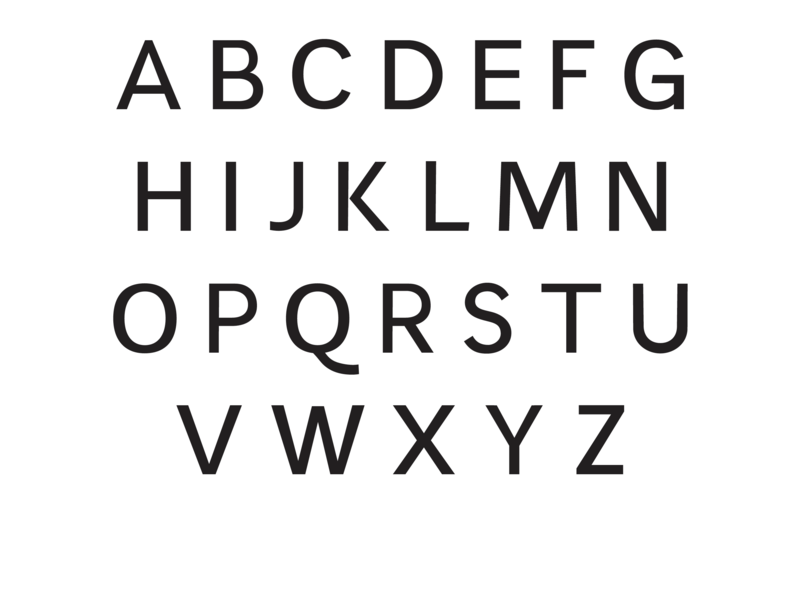 And then a /u comes along - OK, it's a slab serif. We can do geometric slabs: Rockwell, Memphis, etc. But then there's a /g with a curved ear. Now I don't know what this font is. Maybe it's possible to harmonize all these ideas into one typeface - see FF Ernestine, Storm's Trivia Slab - but getting that harmonization to work is just making your job unnecessarily harder. Again, I don't mean "don't do it". Ernestine exists, after all. But the more fuzzy the design philosophy, the harder it is to move forward. What I mean is this: I'm always amazed when people can give type design critique. How can people look at a unique design from someone else's head that they've never experienced before and know what needs to be done to make it better? And the answer is that it's like having a flotilla of boats. If most of them are heading in the same direction, you don't need to know their destination in order to easily pick out the ones that are a little bit off course. But if your whole flotilla of letters are heading in different directions, course correction doesn't really make much sense. It's much easier to work out what is going wrong in a Rockwell-like than in an Ernestine-like, because the design idea is so much stronger. You can describe Rockwell in two words: "geometric slab". Now we know the destination. So in one sense, people could say "make the /e narrower", "straighten the ear of the /g", but in a way those comments are too low-level until you have a consistent high-level design of where this font is going. Instead: do one thing and do it well. If you're going to do geometric slab, go look at lots of slab faces, and understand how they work. What is common amongst them? What is different? What are the acceptable boundaries of a slab serif design? How are they different from grots and transitionals and everything else? I'm sure Hrant will come along and tell you to break the mould. Fine, but if you point your boats in different directions you'll have to tell us where they're supposed to be going. As Craig said you won't get much further without attention to spacing, which again is why you should always work with type in context, not individual letterforms. Space as you go, because you're designing words, not letters. The screen can be deceptive. Print out your specimen on paper and see if it looks right. If you're using an autospacer, don't. This is another area where you can trust the tools when you have the experience to know if the tool is doing a good job, but you need to build that experience first. Watch Thomas Phinney's video How To Space A Font a bunch of times, and do the exercises: zero out the sidebearings of Open Sans and work them out for yourself. Compare your answer with the original. It's boring gruntwork but you learn so much, and getting the spacing right will help you to see problems and inconsistencies in the letterforms. Spaces are the ground to the letterforms' figure; the letters can't be right if the spaces aren't. Straight-curve transitions need work, especially the beginning of /n and /m arches, but also /b/d/p/q. Forms themselves: Imagine your letters as a row of cardboard cutouts. Do they balance or are any likely to fall over? /t normally sits with its bottom on the baseline and its tail sticking up in the air a little; yours is defying gravity. /s should bet bottom heavy so it balances better, in other words have top arch narrower and the bottom arch wider; currently it's likely to fall over to the left. /g bowl is too small for this kind of font - should be more like 60-70% of /e. Try a flat on the bottom of the /b? Anyway. Lots of words, probably most of which are wrong. Sometimes the best way to get progress on the Internet is to say something silly; it draws out people to come and correct you. Either way I hope this helps you to move forward. Good luck. Exactly. There's no better teacher than being wrong in public. I think the spacing looks tight and it lacks rhythm. Go to MyFonts and change the preview string to nnnnnnn. You can see how some fonts have pleasant nnnnnnnn rhythm and how some look too tight. What works for heavy fonts and light fonts is different. Really observe. Once you've got that worked out, check the rhythm of nnnnonnoonoooo etc. 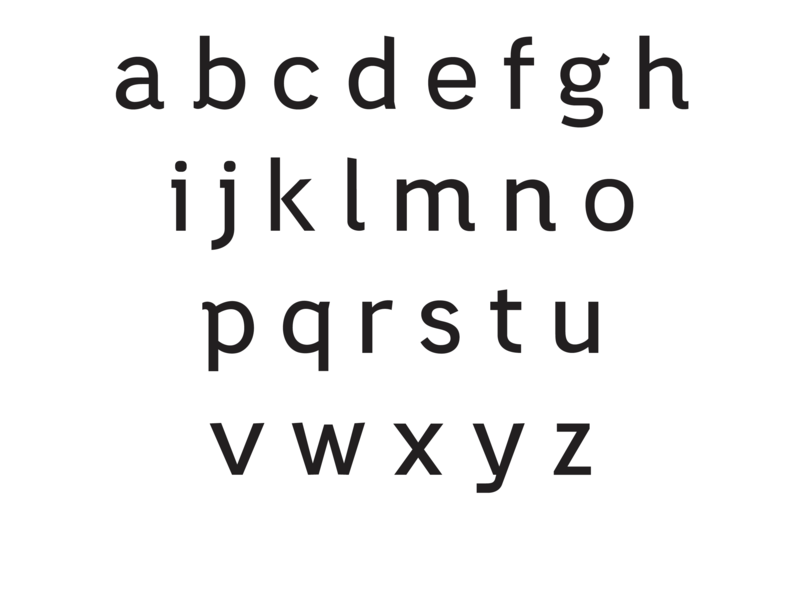 You may need to shift both glyphs afterward to give the o equal sidebearings. The spacing on n and o will tell you what the spacing of the rest of your typeface needs to be. Just make sure you don't make changes to the n and o afterward.